Japanese clothing comes in designs as beautiful and complex as any of their other artworks. We are proud to offer you authentic Japanese apparel, as well as a number of modern garments with oriental style. In the Japanese attire category, you will find pieces for men and women, ranging from elegant kimono to samurai clothing. Japanese vests, Japanese jackets, and Japanese belts are all common items that can be paired with a variety of outfits. 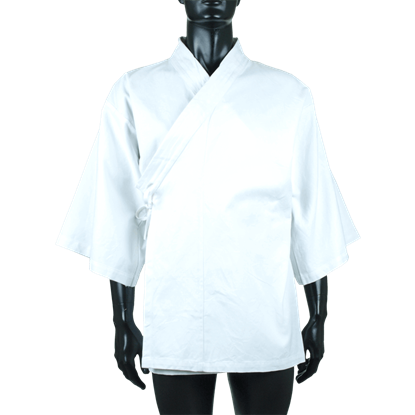 Our Japanese pants and warrior kimono make a great choice for martial arts practice, as well. 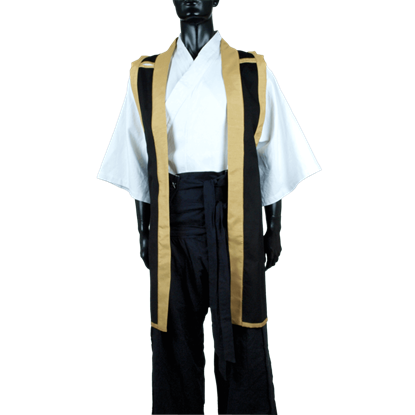 Whether you are picking out apparel for your daily wardrobe or planning an oriental ensemble for the Renaissance fair or a stage production, We carry excellent Japanese-style clothing to meet your needs. The Jin-Baori is an Asian inspired battle overcoat. The Jin-Baori can be worn by men or women. Whether you pair it with a Kimono and Asian style pants or wear it over a dress, it will be the focal point of your outfit. 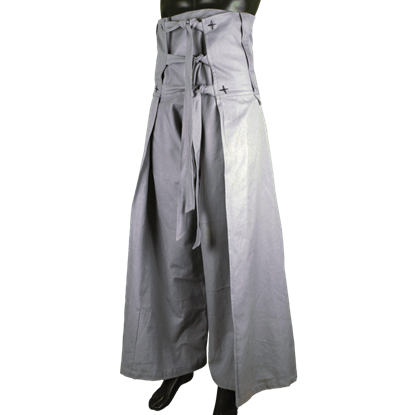 These pants are modeled after the garments that were favored classes of Japan, the samurai and the nobility. As can be expected, the Samurai Pants have a completely different silhouette and look from typical European garments.